I used to be a woman that cared more about making sure my life looked picture-perfect than actually living it. I used to be a woman that wanted control over people and situations so that I could have a (false) sense of security. I used to think hard work was always the answer. I used to be a woman who wouldn’t allow people to really see her, which created distance, disconnection and loneliness. When I think back about the woman I used to be, I don’t like her very much. I might go there for a minute, but I don’t stay there. I am a woman that craves experiences more than stuff. I am a woman that says yes, even when she doesn’t know the how. I am a woman that allows the wisdom of her body and intuition to guide and direct her path more than her mind. I am a creator, a healer, a lover, and a light. I am compassionate, open, connected, generous and strong. The lotus flower emerges from merky, muddy ponds breaking the surface of the water each morning and blooming. It doesn’t grow from well-fertilized soil or in pots that have been cared for by loving hands. It rises from the darkness, it materializes from mud, it emerges new each morning and begins to bloom again. Whatever you’ve done in your past that you’re not proud of, leave it down there in the muddy waters. 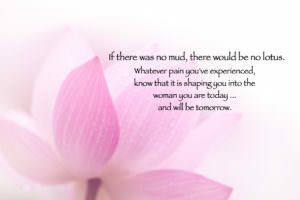 Whatever pain you’ve experienced, know that it is shaping you into the woman you are today…and will be tomorrow. Whatever fears you carry, know that each day is a new opportunity to turn your face towards the light and bloom. 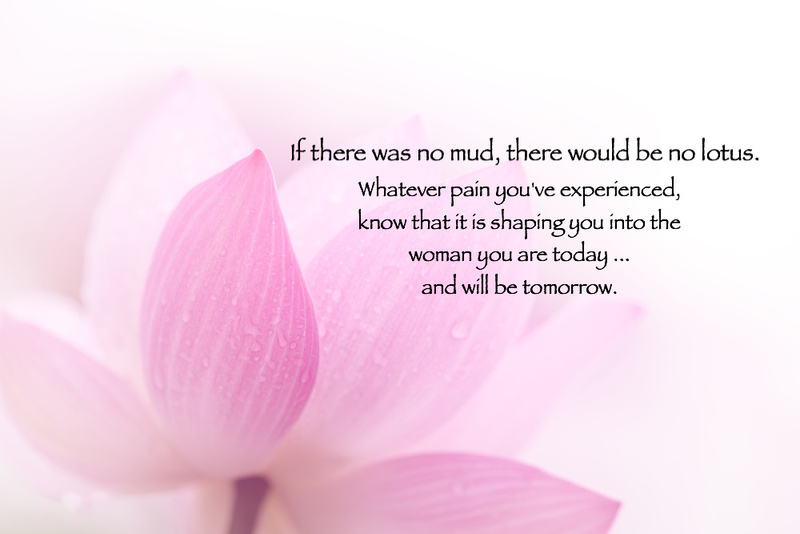 If there was no mud, there would be no lotus.